You probably have seen several sites online talking about how life insurance with living benefits isn’t worth the money or is a bad option. That not only is having living benefits on your policy well worth it but in 2018, most companies include them at no additional cost to you. Today I am going to go over what living benefits are in regards to life insurance, how they work, the more modern updates to living benefits and how to get quotes for living benefit life insurance. All life insurance policies come with what is known as a death benefit. The death benefit in a life insurance policy will only pay out upon the death of the insured. If you are diagnosed with something like cancer, a heart attack, or a stroke, that is considered a critical illness, and if your policy has this benefit, it will pay out up to the allowed percentage of the death benefit. In the event you are diagnosed with a chronic illness and are unable to perform two activities of daily living, like bathing, dressing, or eating, this benefit would pay out a percentage of your benefit on an annual basis. I don’t think anyone wants to get a terminal diagnosis; however, if this does happen to you and you are given between 12 and 24 months to live, the policy will pay out a lump sum amount to cover things like experimental medicine, final expenses, or to just spend time with family. GET YOUR FREE TERM LIFE INSURANCE QUOTE! The amount of the benefit that you are able to accelerate or get in advance will vary by the company. Some companies will offer you up to 75%, and others could offer you 90%, some companies also may have an “Up To” dollar amount set as well. It is essential to know precisely how the payout will work for your specific policy because each company is different. Once you have used the benefit, the insurance company will remove the benefit because it is a one time use so be sure it is the best course of action before you use it. Remember, whatever amount is remaining in the death benefit after the insured passes away the company will pay out. You have a $500,000 policy and use the terminal illness accelerated death option with a 75% payout. The company would pay out $375,000, and then upon your death, they would pay out the remaining $125,000. We all know that the death benefit from a life insurance policy is tax-free, but now that you are receiving your benefits before you pass away does the tax-free status still hold true? Well, according to the Office of Personnel Management, any living benefit payout received after January 1st, 2017 will be paid out tax-free. Keep in mind that there is a chance you could pay a state tax depending on where you live so be sure to know how this will work before you move forward in your specific state. When it comes to fees, we have to look at two different parts of the policy. The accelerated death benefit isn’t included with every policy so you should always ask if the benefit is included or if it comes at an extra cost on your plan. If you have to pay to add the living benefits rider, then you can treat that as a fee. The second part is that if you use the accelerated death benefit, you will have to pay an administrative fee. This fee can be a percentage of the amount you are getting advanced or a flat fee. You wouldn’t have to come up with this money, of course, it would come off the top of your payout. So if you were getting out $100,000 and the fee was $500.00, then you would be paid out $99,500. In my professional and personal opinion these benefits are absolutely worth it. First of all, most companies offer these at no additional cost, so you aren't paying anything additional for them. Knowing that if you get diagnosed with a terminal illness, you can help with your family's financial transition. There is nothing worse than not knowing, this is the best way to know what everything will go as it should before you pass away. It gives you the opportunity to pre-plan everything from funeral arrangements to how much will be distributed to your family. Another ability you will have is being able to maybe pay for some advanced treatments that aren't available unless you have a specific amount of cash. If you get diagnosed with something terminal and a special treatment is available that your insurance won't cover, you could use it for that. Some people just want to spend their last days, happy and with their family. Not cooped up in a hospice waiting to pass away, some people would even prefer to go though this experience in the comfort of their home. Either way, having access to these benefits is great and you shouldn't pass up on the opportunity. In addition to some of the benefits we discussed above, in 2018 some life insurance companies are taking things to the next level when it comes to living benefits. 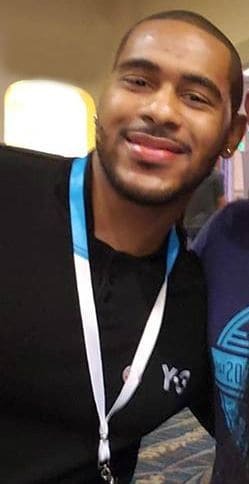 One company that comes to mind is Haven Life. 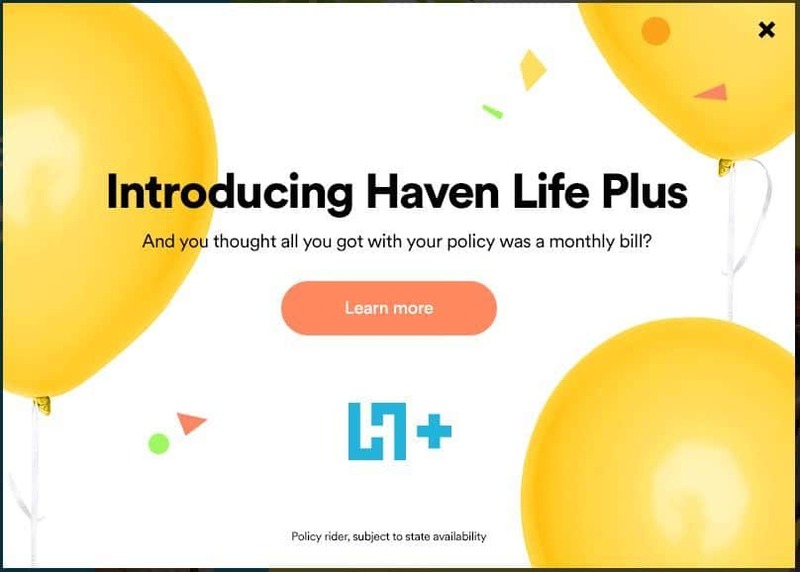 This Haven Life Plus program is going to be included as a rider on your policy and isn't currently available in Florida, New York, North Dakota, South Dakota and Washington. Trust & Will offers an online solution for creating a legal will that’s streamlined, intuitive and quite pleasant. LifeSite is a secure online safe deposit box that lets you manage and selectively share all of your family’s critical life information and documents from your phone, tablet and even Amazon Alexa device. Far more organized and infinitely more portable than a filing cabinet. Calling 9-1-1 from a mobile phone can be dangerously unreliable. LifeLink allows you to connect with emergency services accurately, instantly and at the touch of a button. One thing we really love: The app gives you the ability to select multiple contacts on your phone to be automatically notified the moment a 9-1-1 call ends. With all of the above benefits at no extra cost to you, I hope you are able to see that life insurance companies really are starting to focus on the customer experience much more. Getting Life insurance with living benefits is not complicated, usually you just need a solid company and they will offer it as part of the policy. There is no reason to wait for life insurance coverage for you and your family. Click on that link below or use the quoter tool on the right hand side to get a quick life insurance quote and get covered. Unlike most things, life insurance isn't something you can buy when you need it.